Last day with Rach being in London! It was raining again, so we spent the morning in Camden market (mainly choosing our lunch for about an hour!) 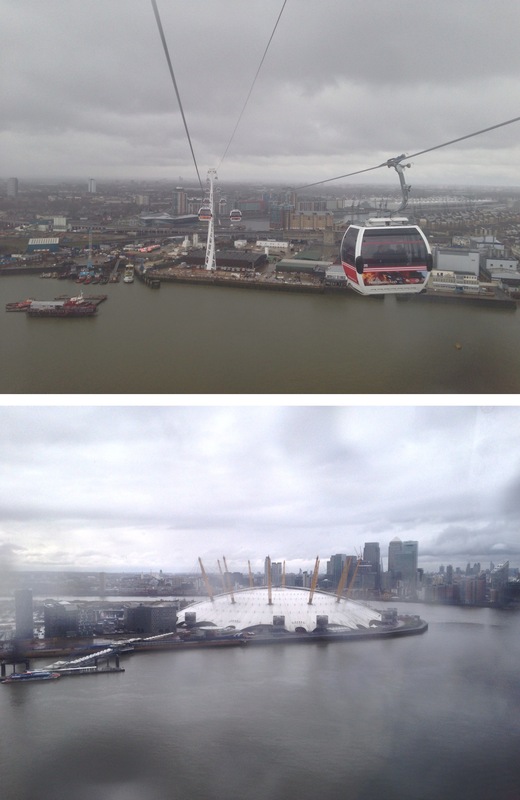 and then headed to the Emirates Air Line Experience – basically a cable car over the river near the O2 stadium. It cost about £1.55 and was fun to go over and look in the O2, we also got our own private cable car, so that’s cool!